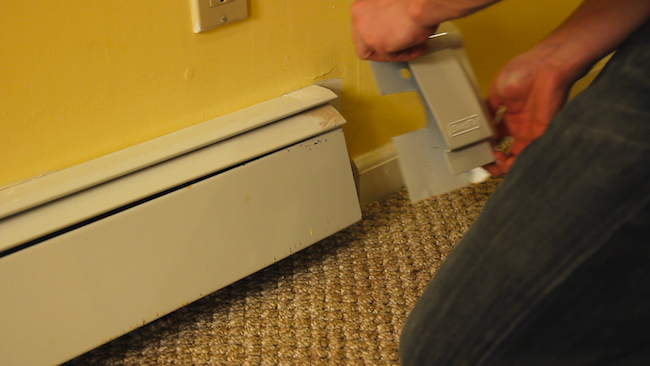 Looking for a way to retrofit your old baseboard heaters? 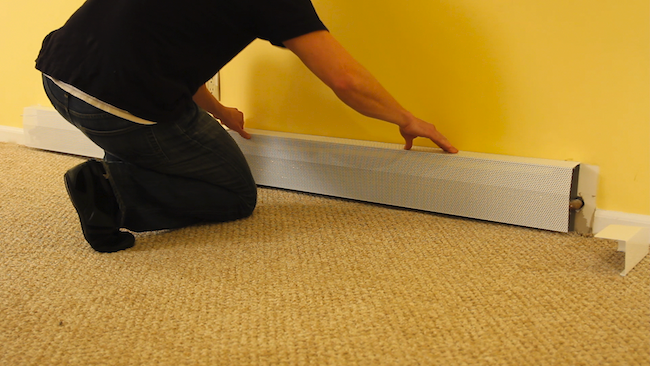 Do it yourself with the versatile and easy to install Baseboarders replacement covers. Baseboard heaters have been an extremely popular choice for many homes since the mid-1950s—and unfortunately, many of these units are showing their age. Dents, dings, scratches and rust spots can make these sleek, compact radiator covers look dated and shabby. 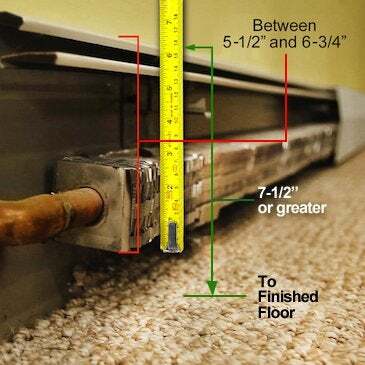 Luckily, there is an easy do-it-yourself retrofit for today’s homeowners with Baseboarders. Baseboarders is the versatile, one-size fits all replacement heater covers that offer homeowners an easy way to refurbish old, ugly and damaged baseboard heaters. The sleek, architecturally-inspired covers take only a couple of minutes to install, and are a simple DIY home improvement project that can dramatically improve the look of any room. Baseboarders replacement heater covers are made of 22-gauge perforated steel with two separate layers of protection against rust: an electroplated galvanized undercoat finished with an epoxy-based top coat in semi-gloss white. The sleek, curved silhouette of the covers allows them to fit easily over most existing baseboard heaters, measuring from 5 ½ to 6 ¾ inches tall, 3 ¼ inches deep from the wall and between 7 ½ to 9 inches from the floor to the top of heater. There is also a premium tall version available to fit over larger heating elements. To determine the correct size for your specific heater, check out this handy retrofit guide. Another key feature of Baseboarders is the perforated steel screen construction, which promotes superior airflow to the heating element, while keeping it concealed. The child-safe design prevents children’s fingers from reaching into the heater, and also prevents small toys or other flammable objects from becoming trapped inside or under the heater cover. Installing replacement baseboard covers is literally “a snap” due to the innovative construction. Simply remove the existing end caps and front cover; then position the Baseboarders replacement cover over the existing back plate and heater unit. Push down the lip of the new cover over the existing back plate until the new cover is secure; then snap in the new end caps, which can be adjusted side-to-side to ensure a perfect fit. If there is no existing back plate, you can purchase wall brackets to hold the new cover in place. 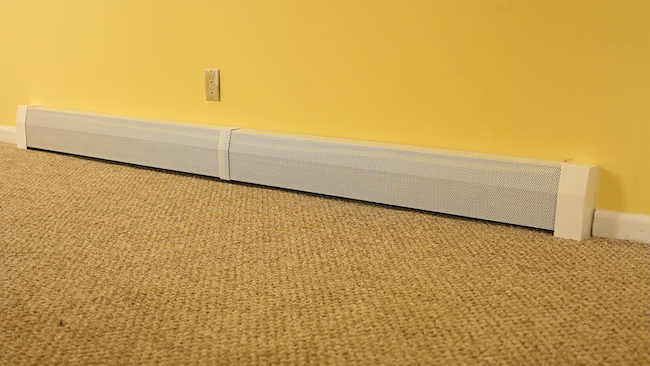 For longer heaters, you can put multiple sections of Baseboarders covers together with a simple coupler strip. Prices range from $41.95 for a two foot section up to $129.95 for a six-foot section; end caps start at $16.95; inside and outside corners, coupler pieces and mounting brackets also are available. All of the components are finished in a powder-coated, semi-gloss white tone and can be painted to match any décor. Baseboarders replacement heater covers allow you to transform a grungy and decrepit eyesore into an architectural asset in minutes, and at a fraction of the cost of replacing the heating system. To learn more about the installation process check out the video below, or visit SupplyHouse.com where you’ll find more information on baseboard heater covers and how to choose the right produce for your needs.